What’s to start the morning of Day 2 in Taipei?! Let’s follow me to the market for the wholesome Taiwanese breakfast. We started our second day of our Taiwan Trip with the hearty Taiwanese breakfast at Fu Hang Dou Jiang 阜杭豆漿. 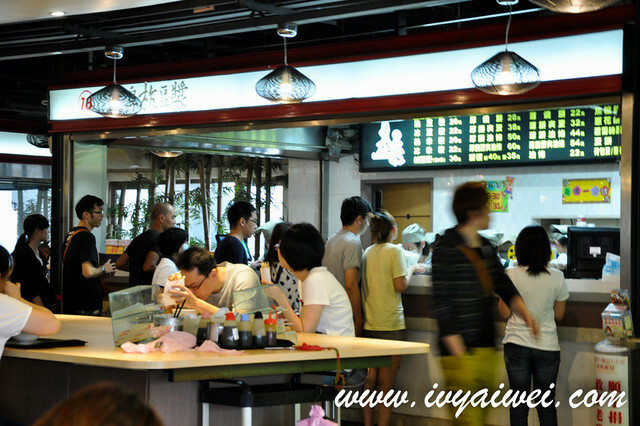 It is located at the second floor of HuaShan Market Building. We were there early, like 8+ in the morning, and the queue was already super long… down the staircase and outside the building. If you are not sure where and how to line up, do follow the sign. 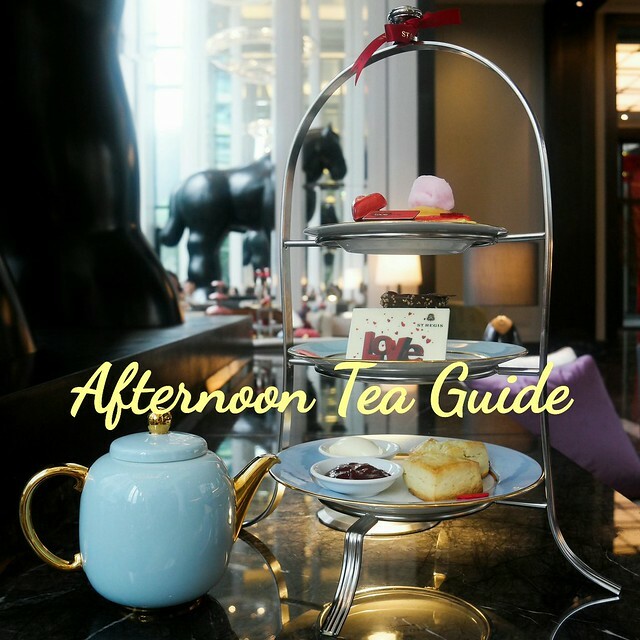 At the counter, they will ask you if you would like to eat in or take away. Menu on the board. 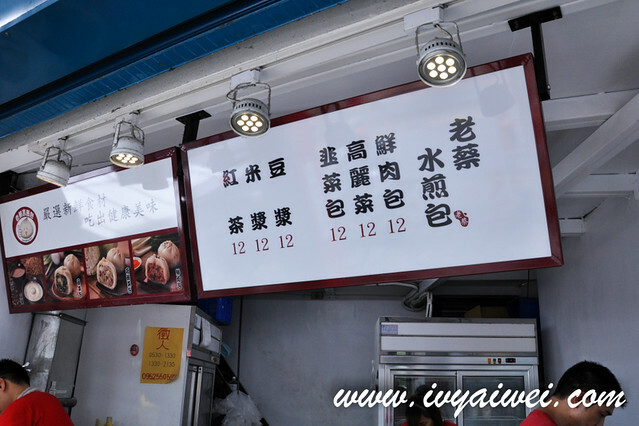 There is no English menu here, be sure to ask someone who knows Chinese along for doing the order. Hot Soy Milk 热豆浆 (NT$ 20) was sweeten at the right level while the Hot Rice Milk 热米浆 (NT$ 20) which is a type of grain milk processed from rice was slightly sweet to our liking. 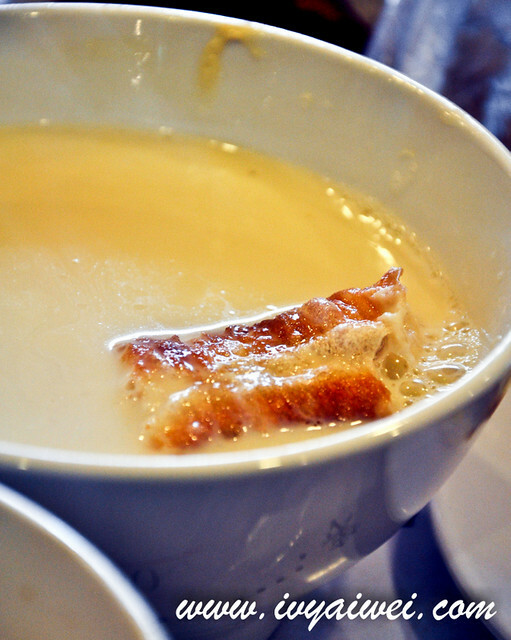 Salted Soy Milk 咸豆漿 (NT$ 30) is the must-order over here. 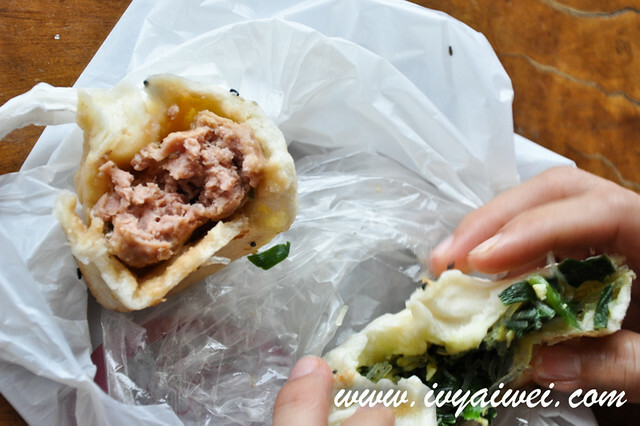 It is quite similar to the taufu fah, with added in condiments like pickled mustard greens, scallions and hot oil; it’s so alike some salted taufu fah where one can simply find it in China. Fu Hang Dou Jiang’s salted soy milk is fresh soy milk that has curdled with a dash of vinegar; served with crispy you tiao 油条 (deep fried crullers), pickled mustard greens, scallions, cilantro, and chili oil. It didn’t look good but it tasted soooo good. 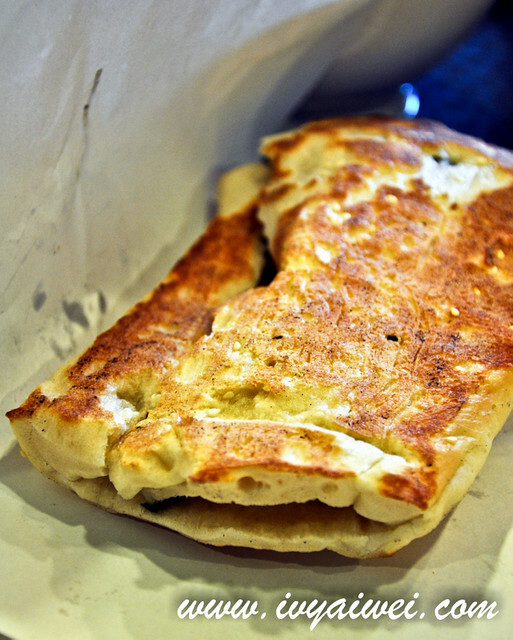 Dan bing 蛋饼 (NT$ 28), flatbread that stuffed with eggs and green scallions. 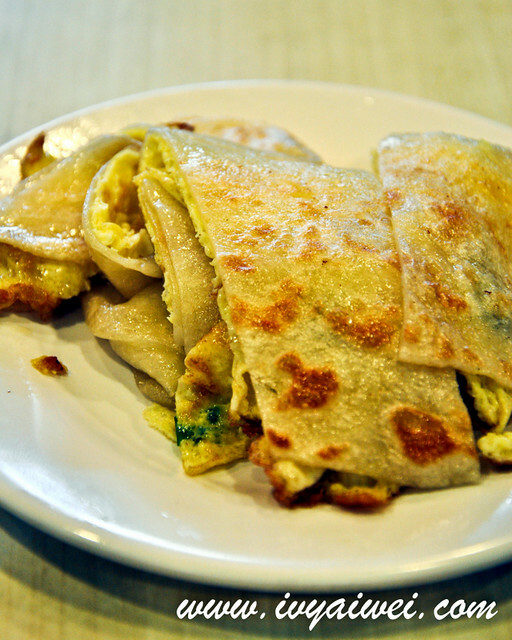 It was like a thin crepe sandwiched the eggy scallions and sliced up before serve. It was aromatic and delicious. But my parents find it a little oily to their liking, especially having it in the morning. 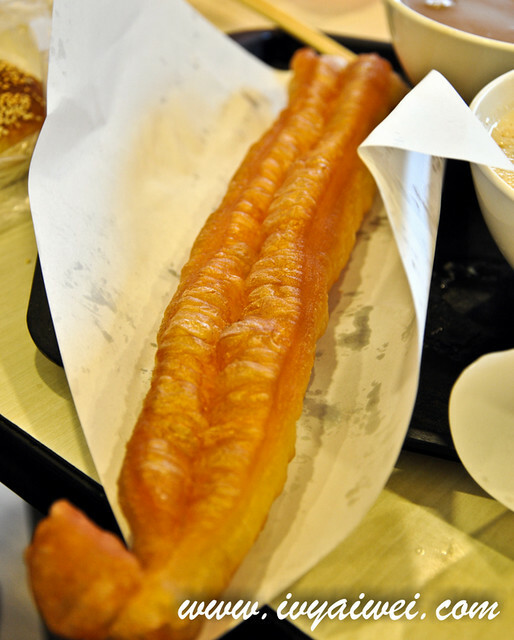 Deep fried cruller 油条 (NT$ 22) was super long and crispy, even being left for some times. 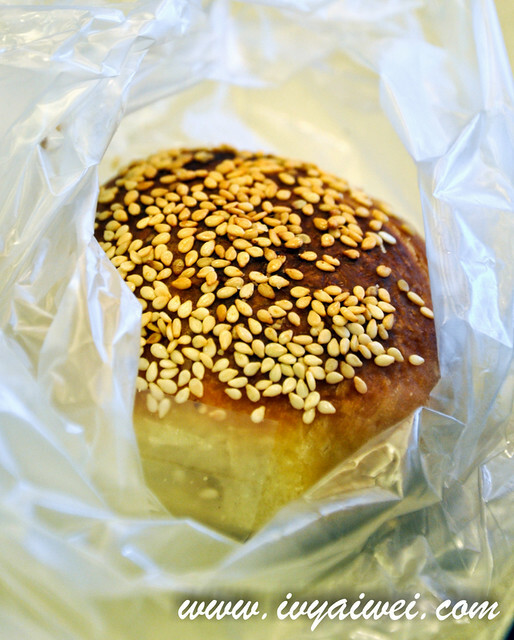 Hou Bing with Egg 厚燒饼夹蛋 (NT$ 38), the thicker version of fluffy pastry with egg added in, beautified with the sesame seed. If you find it too chewy, soak it with the soy milk. Hah! It became sweet and fragrant with egg at the same time. 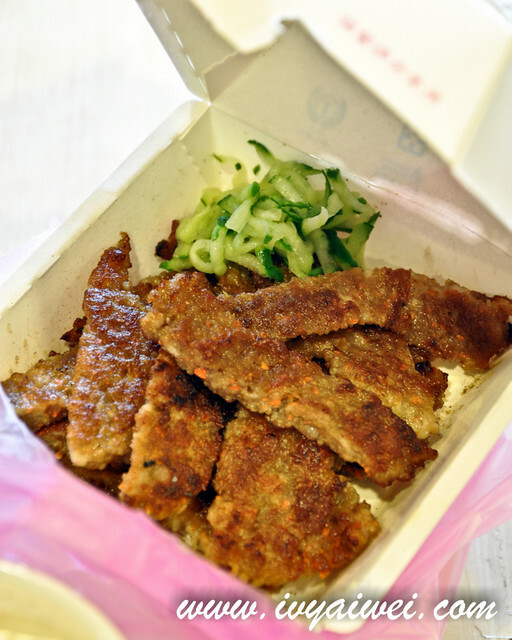 The flaky Crispy Xian Bing 葱花咸饼 (NT$ 22) look quite similar to our Ipoh Heong Peng except this was filled with savoury scallions fillings instead of sweet maltose fillings. This hearty breakfast costs us only NT$ 180 in total for the 5 of us. But then, the old people also went around tapao-ed some breakfast while I was still on the line. They just couldn’t get starve in any time. Well, outside food are not allowed into this breakfast place, but shhhhh, we brought them in. one bad thing about this place is the air ventilation. It was quite stuffy and we were sweaty after the breakfast. 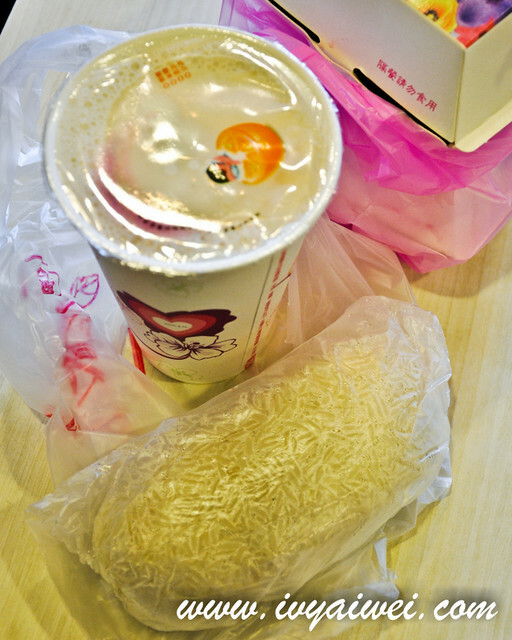 Some tapao-ed breakfast from the shops situated opposite the market. Oppsss, bought too much and we tried our very best to finish them all. After our breakfast, it’s time to move on. 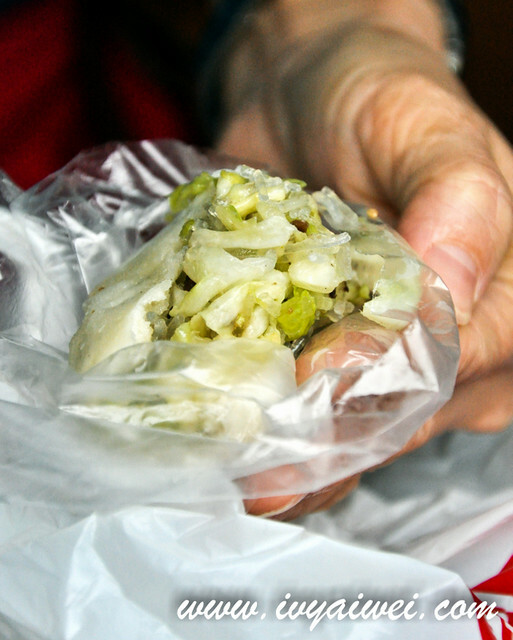 And before we headed to the bus station, these old people spotted this 老蔡水煎包 Shui Jian Bao and we had them take away. Their eyes are really sharp!!! 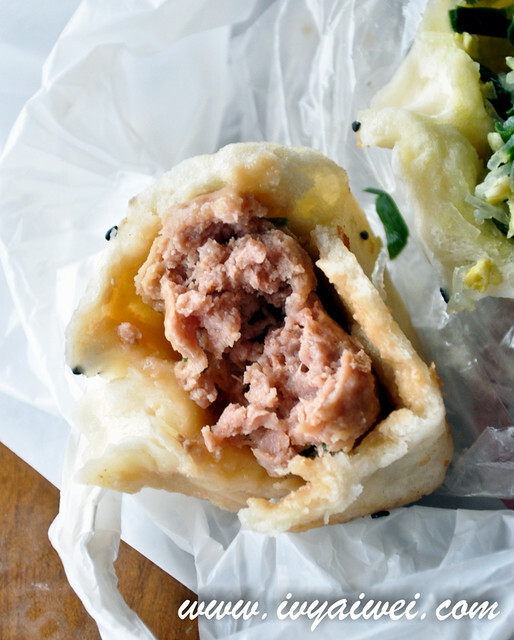 These bao are all handmade and pan-fried into perfection. 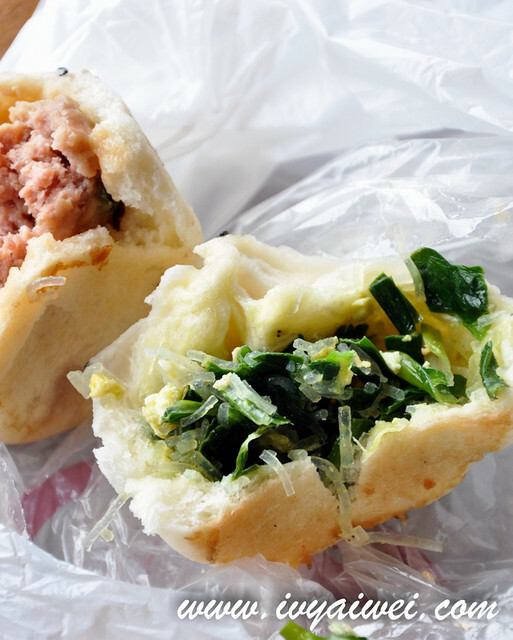 Each of them is priced at NT$ 12 and comes with 3 types of fillings – Chives 韭菜包，Cabbage 高丽菜包 and Pork fillings 鲜肉包. These Bao were really juicy. I love the cabbage one the most and you know, Taiwanese takes pride of their local grown cabbage. From 530 am to 1230 am. 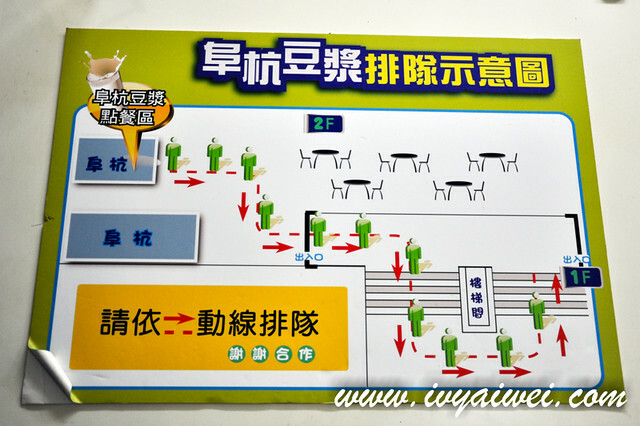 Take MRT (Blue Line) to Zhong Xiao Fu Xing Station 忠孝復興捷運站 and take the exit 1. This shop is somewhere near the station. go have them all, you will like it!!! Taiwanese breakfast is really wholesome! yayaya, they are pride for their local grown vegetables!!! especially scallions and cabbages! 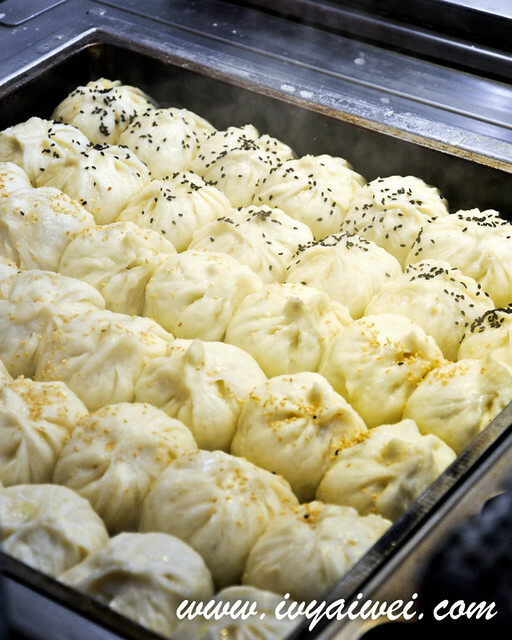 The bao looks nice o…. Your information is wrong. It should be exit 5 not exit 1. I followed your instructions and i end up walking very far from exit 1 to exit 5 where the queue is. Hi Hui Fen, I am afraid you have read the address wrongly. 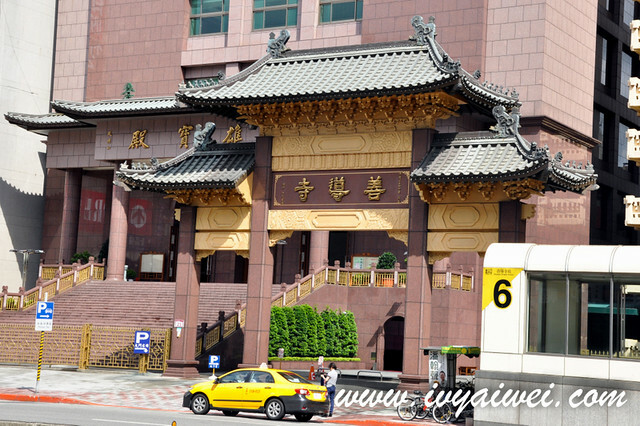 for Fu-Hang Dou Jiang 阜杭豆漿, i marked it as exit 5 from Shandao Temple station. 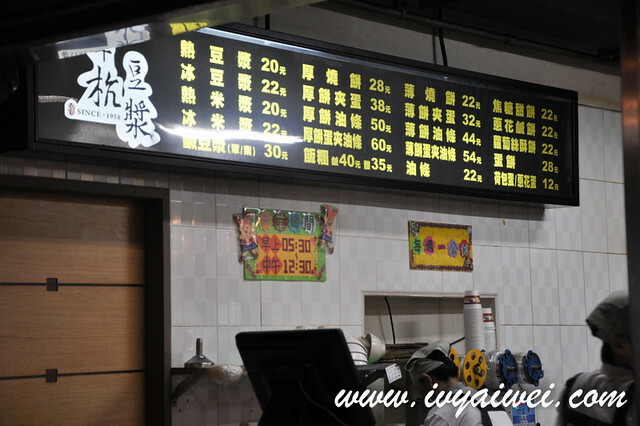 as for the Exit 1, it is for Lao Cai Shui Jian Bao 老蔡水煎包（忠孝店） from Zhong Xiao Fu Xing Station.